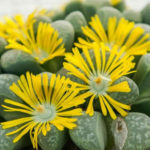 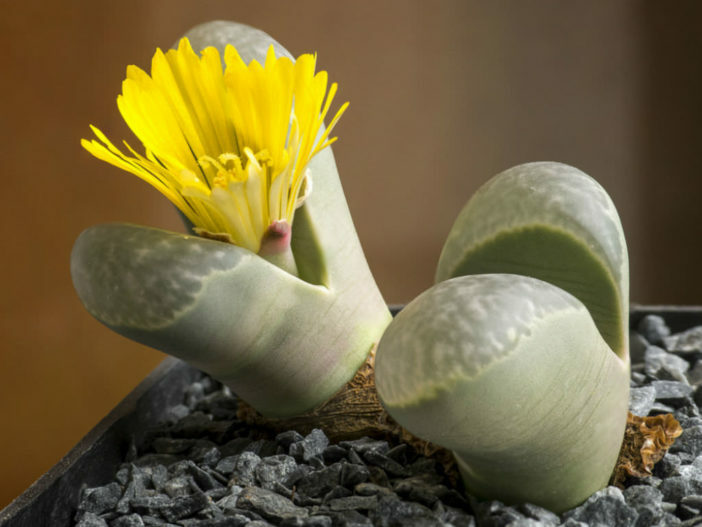 Lithops helmutii is a stemless, perennial succulent with pair of plump leaves. 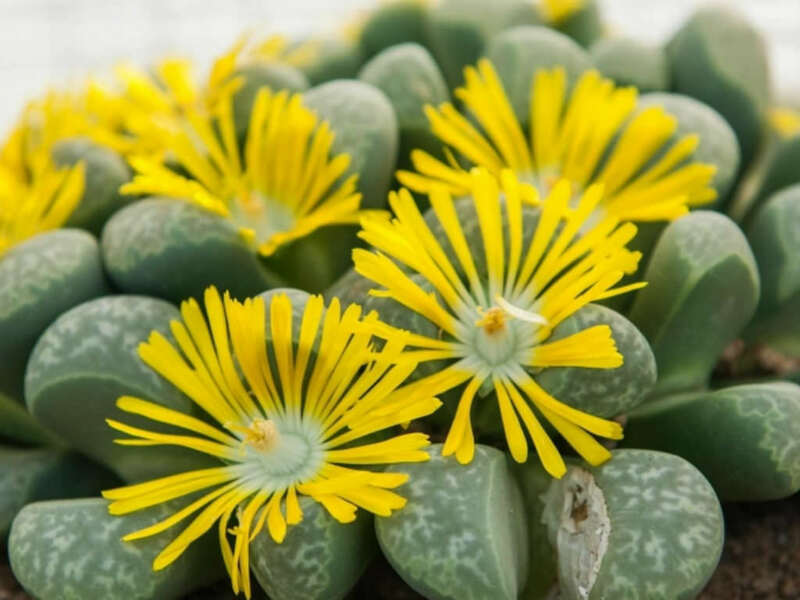 They are up to 1.2 inches (3 cm) tall, not completely fused, pale green, translucent, very light-green, mottled more or less with pale-grey or creamy-grey. 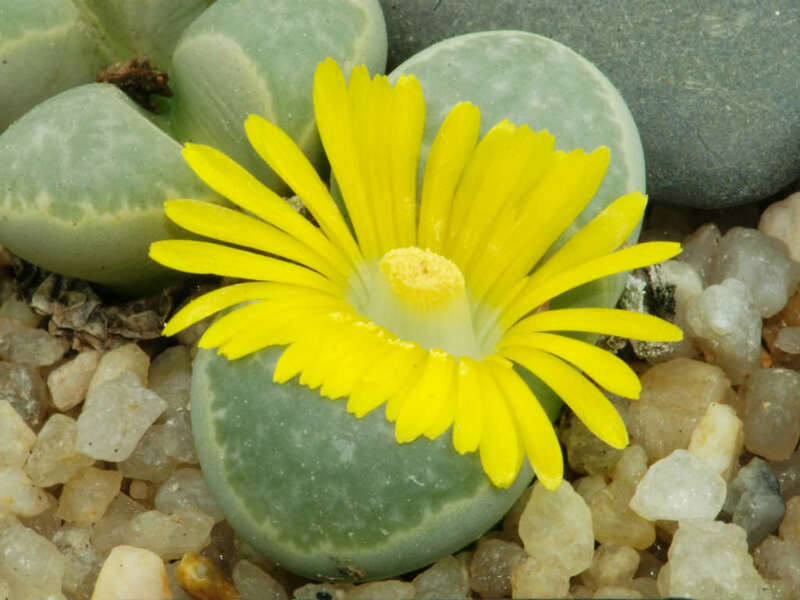 The flower are golden yellow with white center, diurnal and up to 1.3 inches (3.3 cm) in diameter. 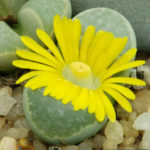 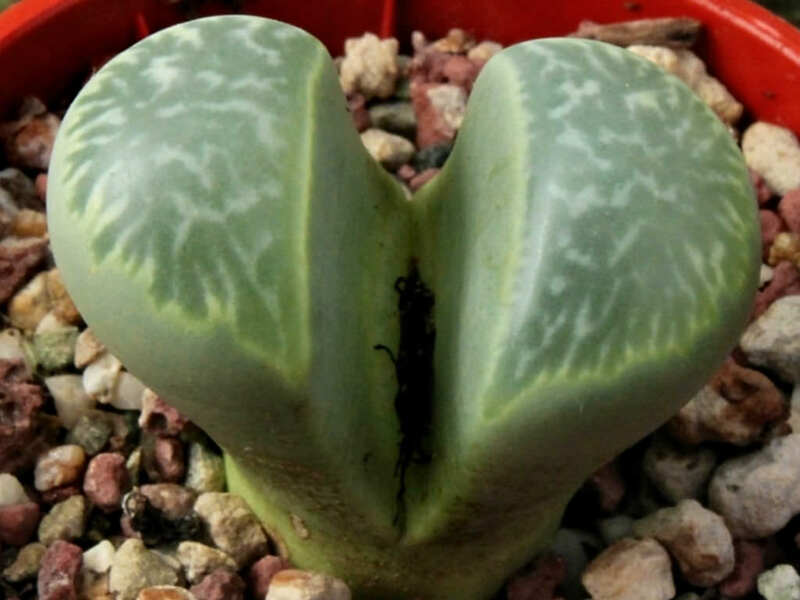 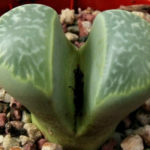 Lithops helmutii is native to South Africa.